Sizes shown for all products in our online store are in U.S. Sizing. You should purchase your normal size i.e. if you usually buy a medium, select medium as your size. 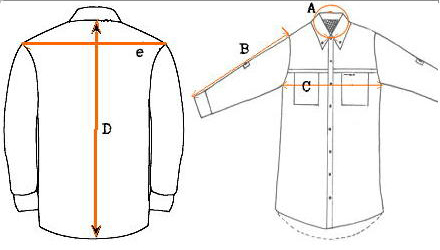 Since every brand, and style within brand, can fit differently, these measurements are meant as general guidelines for the instances where you are not sure of your US size, or you are between sizes. All sizes are measured in inches. To convert to centimeters multiply the measurement by 2.54..